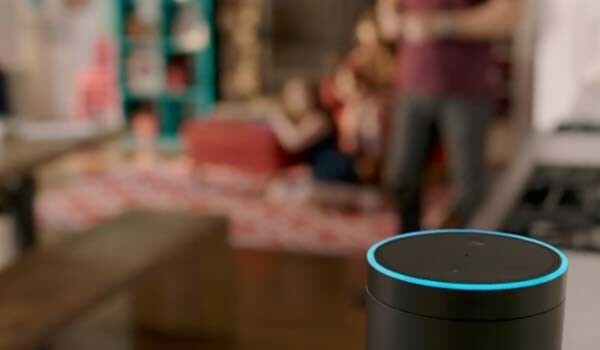 Amazon Echo has proven a valuable product as a smart home device. Jealous of its success, Google is may be planning on making its own smart home device codenamed Chirp. Reportedly subsidiary company Nest also wanted to participate in the project but got rejected. The word got out when The Information first brought the report to the internet. The full article quoted, "secret Google project to create a competitor to Amazon's echo." However, there was no detail about what would it feature, how much would it cost, and when was it coming out. The same report also hinted Google-owned "Nest" with a "stalled" word, pointing towards struggling condition of the subsidiary company. Reportedly, Nest Labs had requested to join the Chirp project, however, they were denied by the lead team of the venture. Since it was acquired by Google back in 2014, the company has shown no notable progress. The website also learned that Tony Fadell's oversight was the reason why Google's secret project was not given to the Nest. Part of this denial can also be justified by the company's decision to delay the launch of the smart home hub that is codenamed Flintstone. The Echo released back in 2015, has become a huge market hit and its success greatly owes to its digital AI assistant called Alexa. This could mean that Google's version of Amazon Echo would also be more focused on smart voice commands and voice communication. Critics had previously questioned OnHub Wi-Fi router's lack of digital AI assistance, and it was suspected that it would be integrated sooner or later. But Amazon Echo has seemingly changed Google's mind and now it wants to bring out a completely new product to one-up Amazon. Google Chirp could look will have OnHub like cylindrical shape, Re/Code reported. The website further said that an Alexa-like could-based platform might integrate into the Chirp. Amazon Echo's digital assistant Alexa is said to be even better than Siri, and where Siri is more private and personalized assistant, Alexa is more fine-tuned to family life. While Google Chirp is on the scratchboard, OnHub is the best guess to figure how it would look like. The following video introduces the smart home device. Tesla cars present a reliable solution to air pollution, but how? Is Nike+ app a viable solution to growing wearables market?